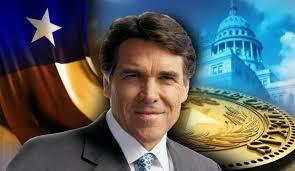 “Coming Backlash due to indictment of Governor Perry.” Rick Perry, one of the United Stats and Texas’ Greatest Governors. Picture courtesy of Google Image Search. I came to Dallas, Texas in 1963 after serving four years of active duty in the U.S. Air Force with an Honorable Discharge. As an official “Texan” with over 51 years of residency under my belt, I am outraged on the indictment of Governor Rick Perry. I foresee a blacklash from this indictment turning a firestorm of Republicans across the nation whose voting will insure that the Democratic Party is run off of both houses in the November 2014 elections. Included in that firestorm will also be honorable Democratic voters who have also gotten a belly-full of the criminal activity of President Obama and his administration. It is also my individual prayer and hope that shortly after these forecoming elections, impeachment proceeding will be put into place against President Obama for all his “High Crimes” against the nation.